Prepare yourself for an unprecedented experience of wellness, beauty and tranquility. You will be rejuvenated from the inside out with our Signature Treatments and the majestic views of the Cook Inlet and Chugach Mountain range. 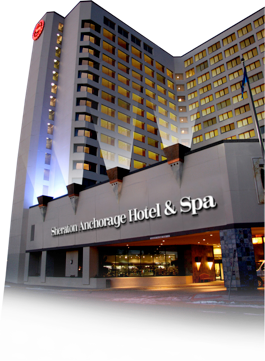 From atop the Sheraton Anchorage Hotel you will see Anchorage, Alaska from a breathtaking point of view with a spa experience unmatched, anywhere.